Autodesk intends to integrate core technology from the Dynamite VSP and Dynamite SIM products into 3ds Max Design and other existing Autodesk architecture, civil engineering and visual communication applications. Does that mean Dynamite VSP and Dynamite SIM will be integrated in a similar way to Hydraflow? Where it was initially rebranded, and released as a Subscription add-on, and eventually integrated into the Civil 3D installation itself. 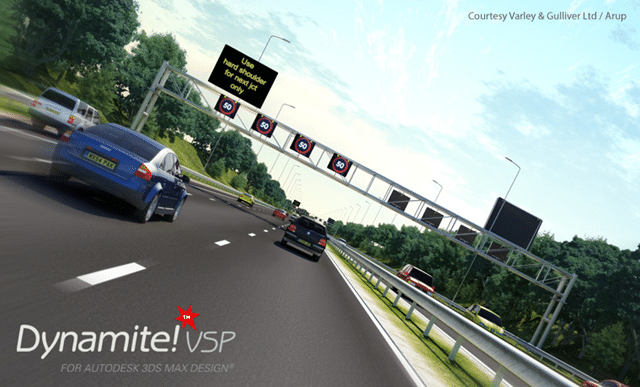 How Autodesk chooses to integrate Dynamite VSP and Dynamite SIM into its portfolio is anyone’s guess, but should be good news for anyone looking to venture into the realm of civil visualization.